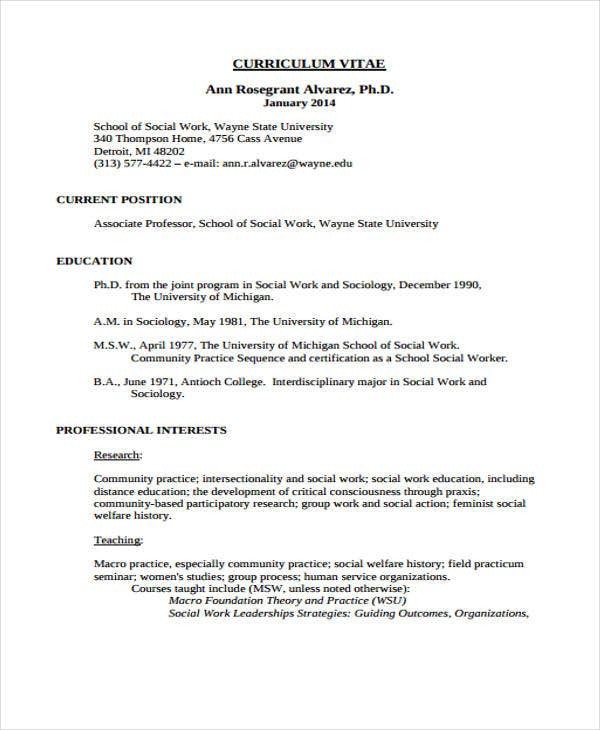 As a profession, a social workers’ scope of responsibilities is diverse and subjective. This is because the needs and structure of communities differ depending on certain factors such as politics, economics, education, and other cultural aspects. They play a key role in the development of communities specifically targeting the vulnerable and marginalized sectors in the society. In line with this, organizations and government bodies are in need of social workers who are armed with the skills for community management and development. 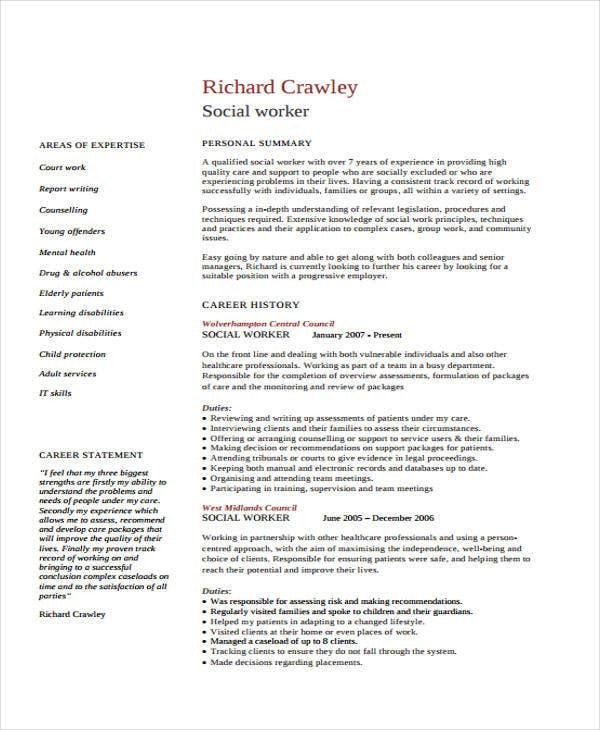 To help you catch the attention of hiring managers, you can use and edit our social worker resume examples which can help make your personality shine. 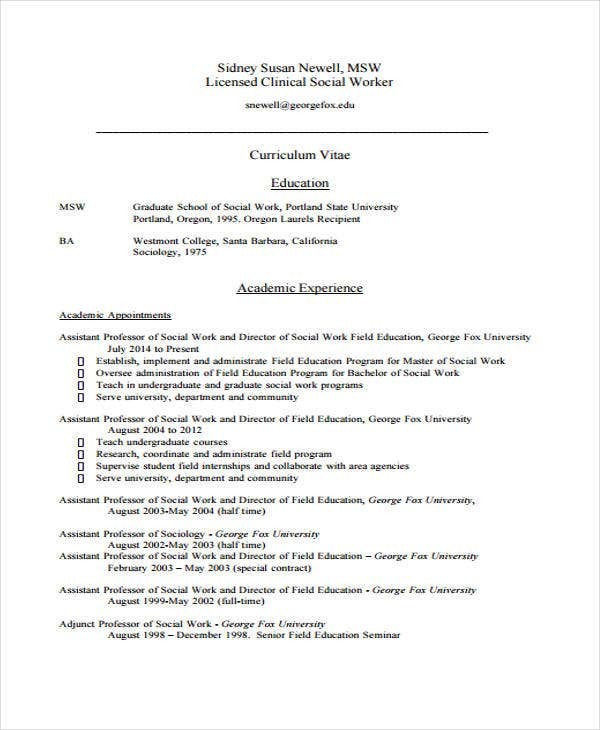 What are the Essential Components of a Social Worker’s Resume? Personal Details – Provide your updated contact addresses, numbers, and professional email address. 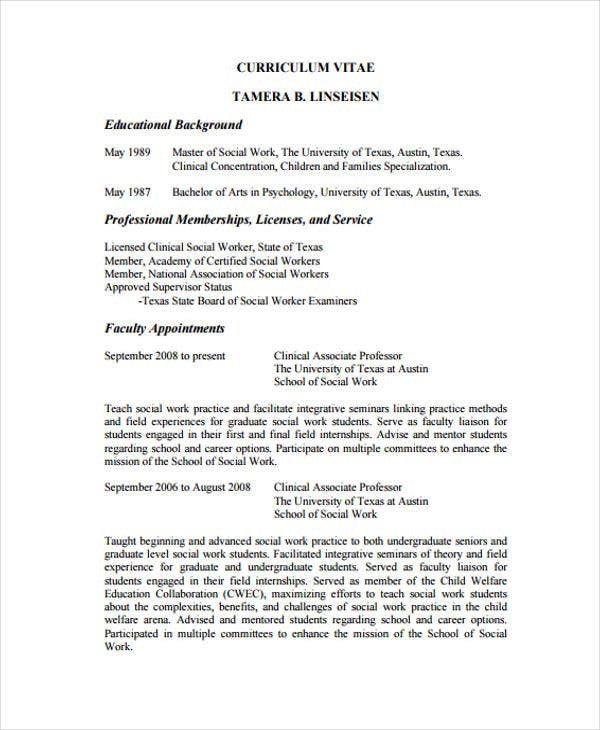 Professional Summary – This gives a holistic review of your professional goals as a social worker. Educational Competencies – Provide the list of academic institutions where you studied and the corresponding honors and awards you received. Specify dates. 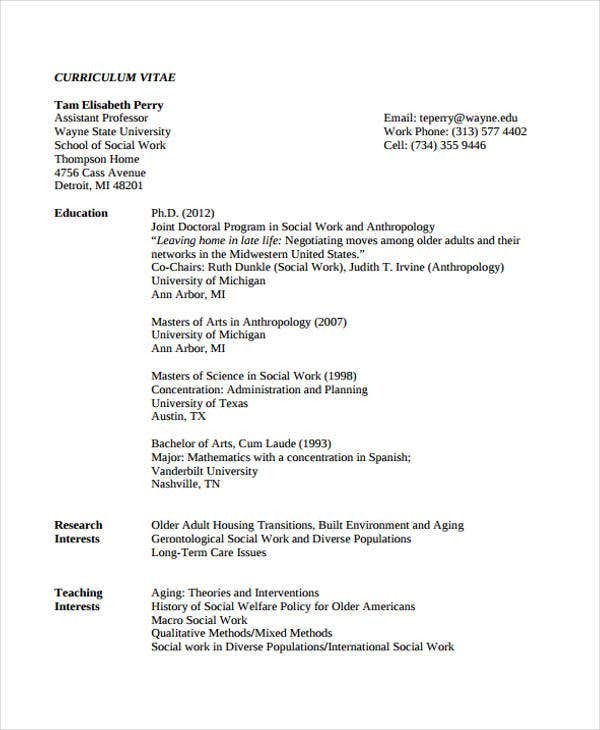 Academic Positions – If you’ve worked with academic institutions before, indicate them in your resume. Also, identify your work positions. Community Work and Other Professional Positions – The heart of a social worker’s job is to engage with the communities. Provide a list of the governmental or non-governmental organizations that you’ve worked with. Publications – Research is also considered as a fundamental aspect when it comes to social work. 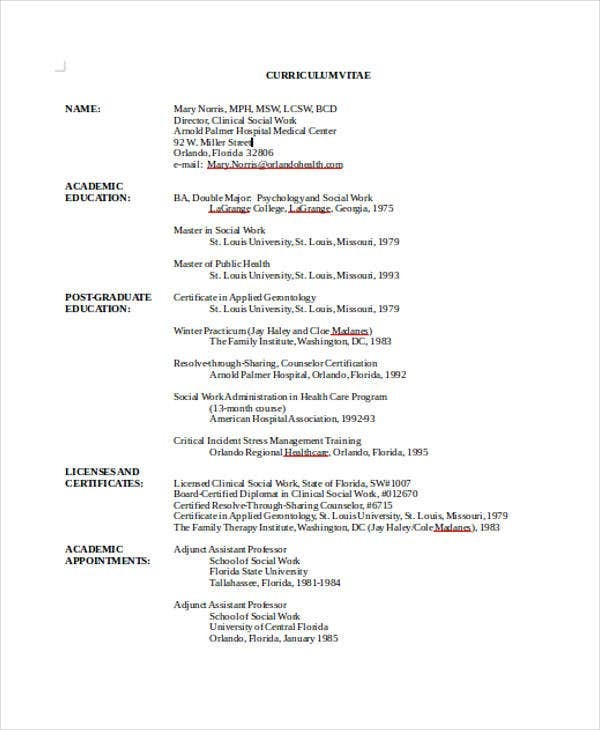 List your publications in a formal manner starting with the most recent one. 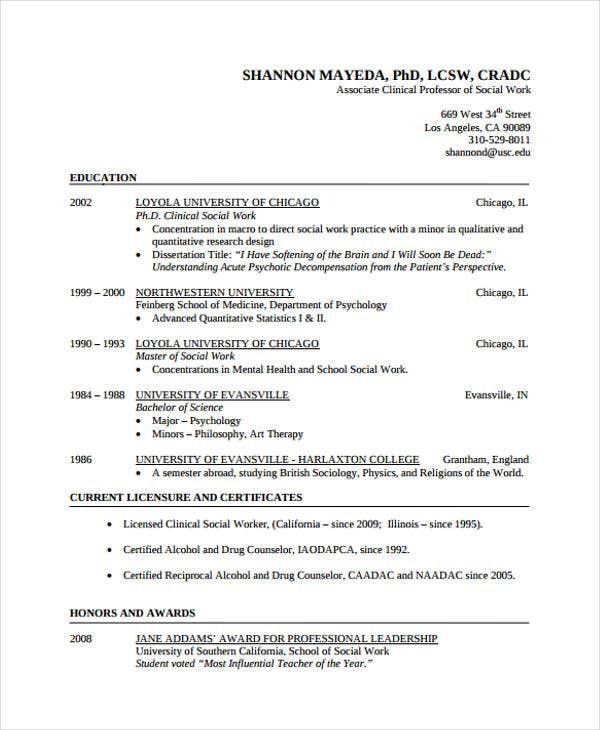 These are some important points that you may include in your resume. 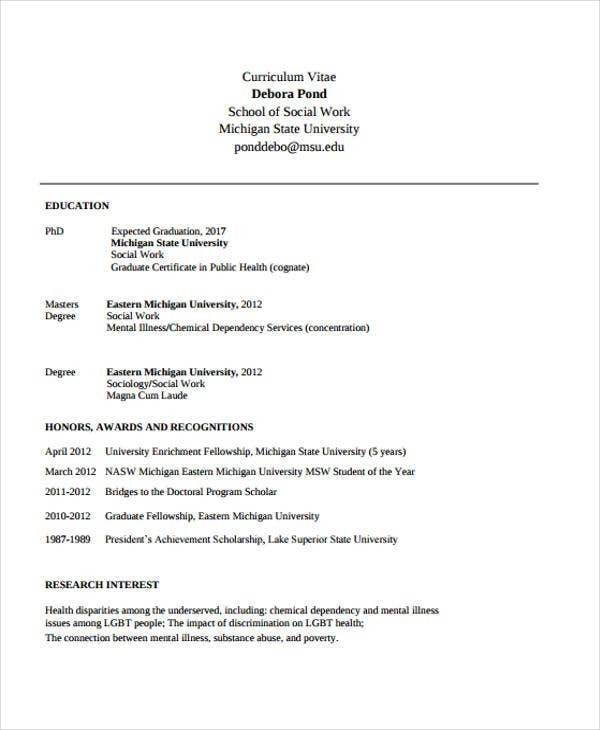 If you’re interested to review other MAC Resume Templates and Basic Resume Templates, feel free to access them. Do provide a specific and unique professional summary. 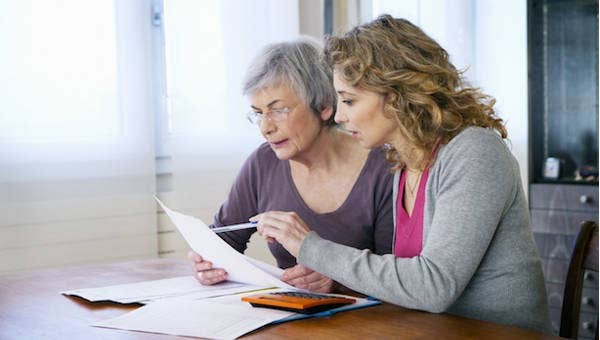 As a social worker, you have to give the hiring managers an idea pertaining to the branch or field of social work that you are passionate about and are more knowledgeable of. Don’t make use of technical jargon and acronyms. Don’t assume that everyone understands the technical terms you provide. When providing the names of organizations you’ve been connected with, spell out their names rather than solely providing their acronyms. Do provide specific accomplishments and projects. If you’re trying to impress and get the attention of hiring managers, let them know about your achievements and projects. As much as possible, quantify your work. 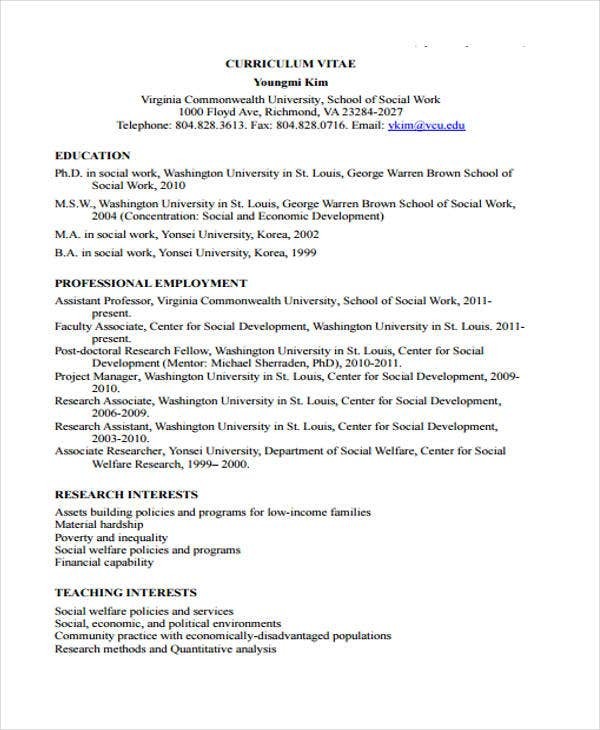 Don’t submit a resume without proofreading them. 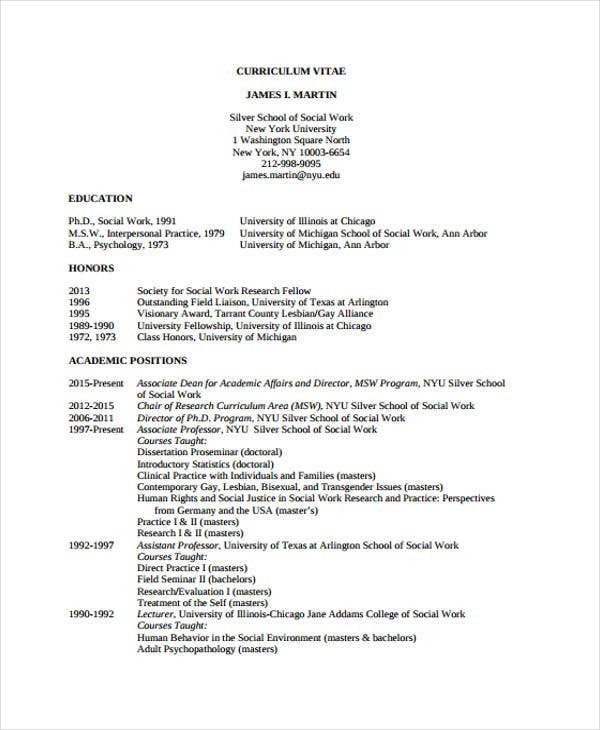 Always check read and validate your resume before submission. These are some dos and don’ts that can be of help to you. For more details, you can check out our Resume Objectives and Creative Resume Templates.